There have been thousands of books written about the Tour de France - after all, there's been plenty to write about. And some of them have been real crackers. There should be something for everyone on this list of books about the Tour de France, its history and its riders. Tour de France: The History, The Legend, The Riders by Graeme Fife is a comprehensive Tour history from one of Britain’s leading cycling writers. It’s heavy on detail but remains accessible. See also Fife’s portrait of Brian Robinson. In Le Tour: A History of the Tour De France (UK, US), Geoffrey Wheatcroft takes a cultural history approach, looking at the impact the race has had on France. If you like this, you might also like The Discovery of France by Graham Robb, a cultural history of France researched almost entirely on two wheels. Robb also has non-France cycling tales in Cols and Passes of the British Isles. A Race for Madmen (UK, US) by Chris Sidwells is a mix of Tour facts, history and politics, interwoven with the personal stories of key riders from throughout the Tour’s past. We have five extracts from the book on the site, starting with the first Tour de France. Sidwells is also the author of a few other cycling books of note: The Call of the Road: The History of Cycle Road Racing and The Bike Repair Manual, among others. Roule Britannia: A History of Britons in the Tour de France (UK, US) by William Fotheringham is a few years out of date now but it's still an interesting look back at British cycling history and participation in the Tour, from its first foray across the Channel in 1955 (see also Graeme Fife's book on Brian Robinson below). Jeff Connor's Wide-Eyed and Legless is an original inside story of how ANC Halfords, the first British Tour de France team in almost 20 years, fell apart on the road to Paris. 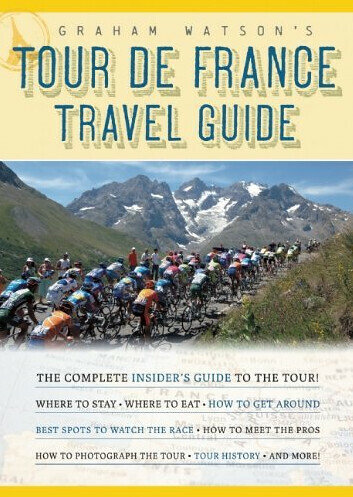 The Tour is Won on the Alpe: Alpe d'Huez and the Classic Battles of the Tour de France (UK, US) is French cycling journalist Jean-Paul Vespini's history of the legendary Alpe d’Huez, a mountain rivalled only by the Ventoux for the honour of the Tour de France’s most mythical climb. With 21 hairpins over 13.1km and with an average gradient of 8.1%, it can make or break a yellow jersey contender. 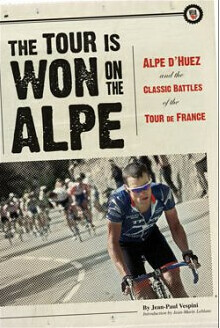 On that note, see also Peter Cossins' excellent Alpe d'Huez: The Story of Pro Cycling's Greatest Climb. Cossins also has a great tribute to the Classics – The Monuments: The Grit and the Glory of Cycling's Greatest One-Day Races. Graham Watson's Tour de France Travel Guide: The Complete Insider's Guide to Following the World's Greatest Race (UK, US) is a few years out of date now but it's still a practical guide to following the Tour. Photographer Watson is a 30-year veteran of the Tour – time he’s spent not just nailing some great photography, but also perfecting the logistics of organising the trip as a spectator. 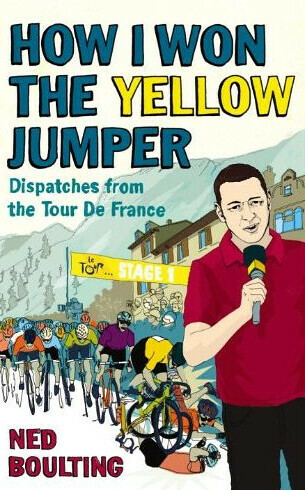 How I Won the Yellow Jumper by Ned Boulting is a hugely entertaining Tour de France book. Part memoir, part travelogue, part Tour history, it takes in everyday life on the road with the Tour de France, capturing it nuances, as well as some of the characters who have become regulars on the Tour merry-go-round. If you still need convincing, we've reviewed the book here. Boulting fans will also want to check out 101 Damnations: Tales from the 101st Tour de France and Boulting's Velosaurus: A Linguistic Tour de France. Another entertaining read is Tim Moore's French Revolutions: Cycling the Tour de France. Merckx fans will enjoy Merckx 69: Celebrating the World's Greatest Cyclist in his Finest Year and Eddy Merckx: The Cannibal by Daniel Friebe. William Fotheringham's ever-popular Put Me Back On My Bike: In Search of Tom Simpson remains an excellent read, as does The Badger: Bernard Hinault and the Fall and Rise of French Cycling. There is also Indurain,The End of the Road: The Festina Affair and the Tour that Almost Wrecked Cycling, and Reckless: The Life and Times of Luis Ocana by Alasdair Fotheringham. Racing Through the Dark: The Fall and Rise of David Millar is the story of how one of Britain's most promising cyclists got sucked into a world of doping, his arrest and subsequent suspension from the sport tarnishing a promising career. But it's also a story of renewal as Millar writes about life in the wilderness and his journey back to the peloton. See also Millar's The Racer: The Inside Story of Life on the Road. And to a British rider of a previous generation. Graeme Fife's Brian Robinson: Pioneer charts the life of the first Briton to complete the Tour de France, and the first to claim a stage victory. Robinson also became the first British rider to win the Critérium du Dauphiné. Fife's book is a profile of a seemingly modest rider whose forays across the Channel and into Europe paved the way for others to follow. There's also Richard Moore's Slaying the Badger, a gripping account of the 1986 Tour, when Frenchman Bernard Hinault famously broke his promise to ride in support of teammate Greg LeMond who, following team orders, ha d sacrificed his own chances of winning in 1985 to ensure a Hinault win. Moore's book is a fine study of the politics of team cycling and, despite the title, the book's scope is far wider than just the 1986 Tour. 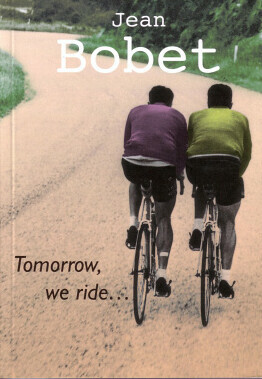 Tomorrow, We Ride (UK, US) by Jean Bobetis one of the most elegantly written accounts of professional cycling in the 1950s. It’s a portrait of the extraordinary relationship between the brothers Jean and Louison Bobet, two supremely talented riders from Brittany. Louison went on to win the Tour three times, his brother offering loyal support as a team rider and confidante. Tomorrow, We Ride encompasses it all in intimate prose, capturing the romance of cycling’s golden, post-war era. And it's my favorite cycling book. 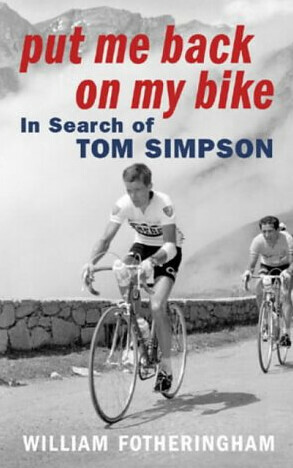 Put Me Back On My Bike: In Search of Tom Simpson by William Fotheringham Tom Simpson was the first Briton to ever wear the yellow jersey, a world champion cyclist and Olympic medallist who epitomised the win-at-all-costs attitude of Tour de France riders. Immortalised forever by his death on Ventoux during the 1967 tour – a memorial stands on the mountain near where he fell – Simpson’s story is one of inspiration, triumph and tragedy. The Eagle of Toledo (UK, US) is Alasdair Fotheringham's biography of Federico Martín Bahamontes, a six-time King of the Mountains and the first Spaniard to with the Tour. The book is based on interviews with Bahamontes, who first rode the Tour in 1954. Riis: Stages of Light and Dark (UK, US) is the autobiography of Bjarne Riis, who in 1996 became the first Danish rider to win the Tour. Riis, now boss of Team Saxo Bank, later admitted the ride – like most of his career – was powered by drugs. The book is a candid and sometimes bewildering account of cycling in the 1990s. To the modern peloton and we have tomes by Chris Froome and Mark Cavendish's At Speed. My Time (UK, US) is Bradley Wiggins' biography. It tracks his climb back from 2010, through the disappointments of 2011 to the podium in 2012 and then to the Olympics. See also My Hour – as the name suggests, it's about his hour record. There is also the more recent Icons: My Inspiration, My Motivation, My Obsession, with a foreward by Merckx. Rough Ride (UK, US)is Paul Kimmage's account of his attempt to cut it in the world of professional cycling. He ended up giving up disillusioned, largely as a result of the systematic doping. Written in 1990, the book has since been revised and updated – and it’s as shocking and as poignant as ever. Kimmage's crusade against drugs in sport culminated with Lance Armstrong's confession and justified Kimmage's pursuit (in tandem with David Walsh – see below) of the disgraced 7-times champion. Seven Deadly Sins (UK, US) is inside story of how cycling journalist David Walsh pursued the Lance Armstrong story for more than a decade. It charts the background of the broader doping story and lays out the evidence against Armstrong. 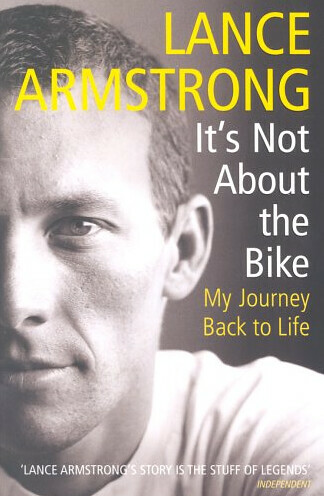 Last but not least, It’s Not About the Bike: My Journey Back to Lifeby Lance Armstrong (UK, US), the best-selling autobiography that tells of Armstrong's early career. Without all the important bits. It’s his take on how he defeated cancer to return to cycling and win the 1999 Tour. Wait for the blockbuster tell-all book that takes in everything he left out first time round... (in the meantime, go here).